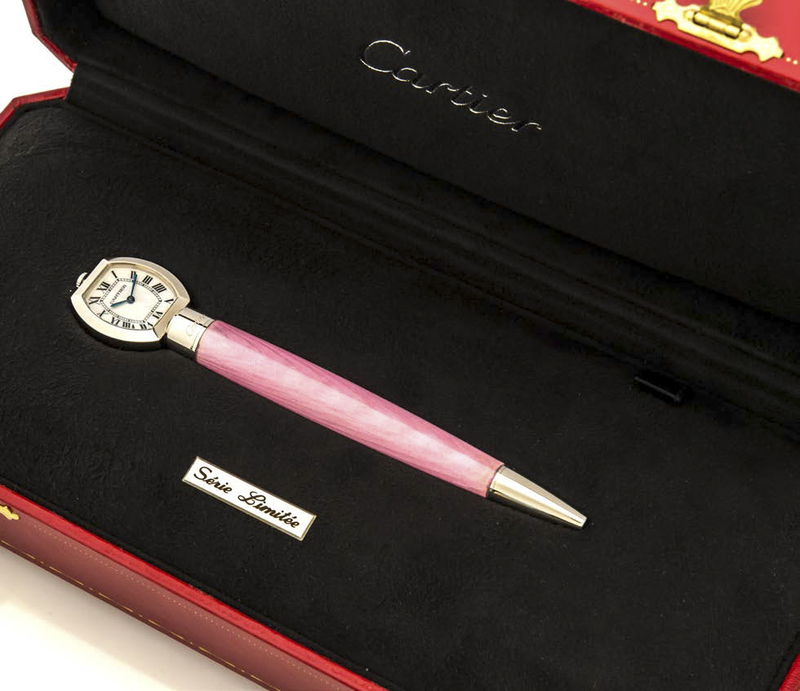 CARTIER WATCH PEN LIMITED EDITION, 0298/2000 A very fine pink lacquer and platinum-finish ballpoint pen with quartz watch. Dimensions Overall length 130 mm. Watch DIM. 22.5 x 24 mm.